The fancy of a little boy plucks a star from the sky and conjures it into a green island and the inhabitant of the island is his kindest Granny Tamtimariah who has escaped from dust and roar of the city and enjoys her adventurous life on this cozy island and bakes her famous Khonakha pies with her secret recipe. Plump and mean Koryun and other kids can hardly imagine how colorfully-detailed and immense their classmate’s imagination can be. They will be a little punished in the imagery land of poets but finally friendship will prevail in Granny Tamtimariah’s island. 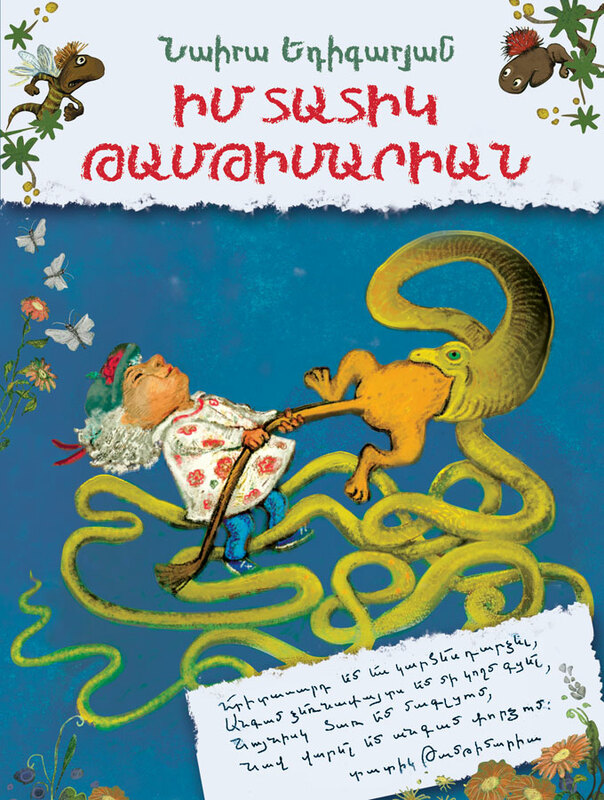 Continually shape-shifting critter Shokolak, Prauprau the Lion and Fshfshik the Snake will accompany them through the journey.